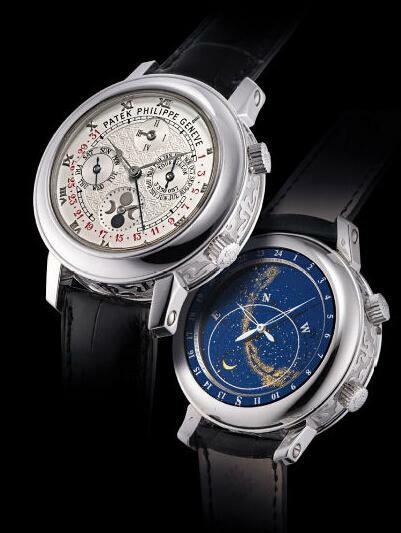 Patek Philippe Sky Moon Tourbillon 5002 is one of the most famous watch of modern Patek Philippe watches. Why does everyone want a piece of the Sky Moon Tourbillon? Well aside from it being a very complex Patek Philippe watch, it is also very pretty, and have two faces. One of the rare doubles sided watches that can actually pull the look off. 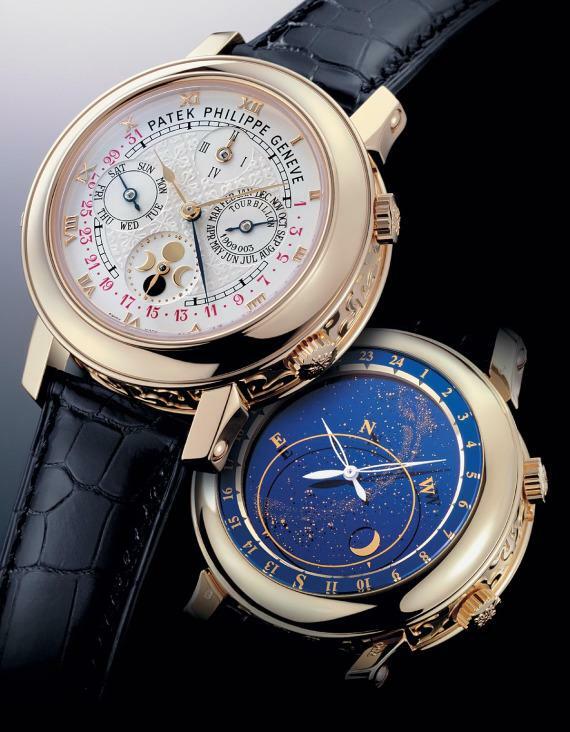 The replica Patek Philippe Sky Moon Tourbillon watch came available in gold or platinum. The platinum watch is reference 5002P, while the yellow gold watch is 5002J. The case is 42.8mm wide and pretty thick. The front of the watch has the time, perpetual calendar with retrograde date, and moonphase.The tourbillon is hidden in the movement just like Patek Philippe likes it. There is also a minute repeater function that is activated on the side of the case. The other side of the case has some interesting indicators. It has the sidereal time, normal time, sky chart, and the phase and orbit of the moon. Most of these indications aren’t useful to most people, but the dial is awesome to look at in the deep blue and gold used for the stars.